Sappi is a global company focused on providing dissolving wood pulp, paper pulp, paper-based and biorefinery solutions to its customers in over 150 countries. These feature in applications ranging from textiles to healthcare, graphic papers and packaging. Our industry is on the cusp of a period of unprecedented change – and we’re at the forefront of technological innovation. By investing in an ambitious programme of research and development, we’ll continue to unlock the true potential of sustainable renewable resources, with woodfibre at our core. This commitment means we can diversify our product offering and meet future demand in areas such as bio-energy and pharmaceuticals in this current carbon-constrained age. Sappi Europe is the leading European producer of coated fine paper. We have ten mills, 14 sales offices and 5,700 employees. Our global activity extends to three continents, selling millions of tons of high quality products to customers all over the world. 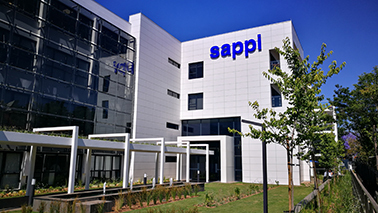 There’s much more to Sappi than just paper. Our products find uses in thousands of applications, from paper and packaging to textiles and laminates. Find out about the strategy behind Sappi’s global 2020Vision and our focus on growing as a profitable and cash-generative diversified woodfibre group. Built from proud roots in each of our regions, our history has seen us steadily grow into the global, progressive business we are today. Discover the values that guide us in our everyday practices, inform our decisions and lead us in our strategic plans for the future. Technology is at the heart of our business – discover how we’re making breakthroughs and discoveries that enrich lives. Sappi Southern Africa operates four mills and has a combined production capacity of 690,000 tons of paper, 670,000 tons of paper pulp and over a million tons of dissolving wood pulp per annum. Our roots can be traced back as far as 1854 to the S D Warren Company. Today, we continue the legacy of innovation and quality as a preeminent producer of printing and packaging papers, release paper and dissolving wood pulp. 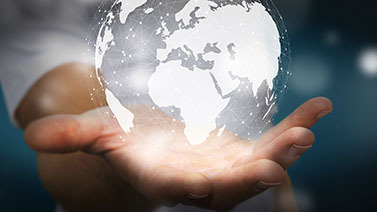 Learn more about Sappi Trading and each of its international divisions.